Montana Standard Editor David McCumber. 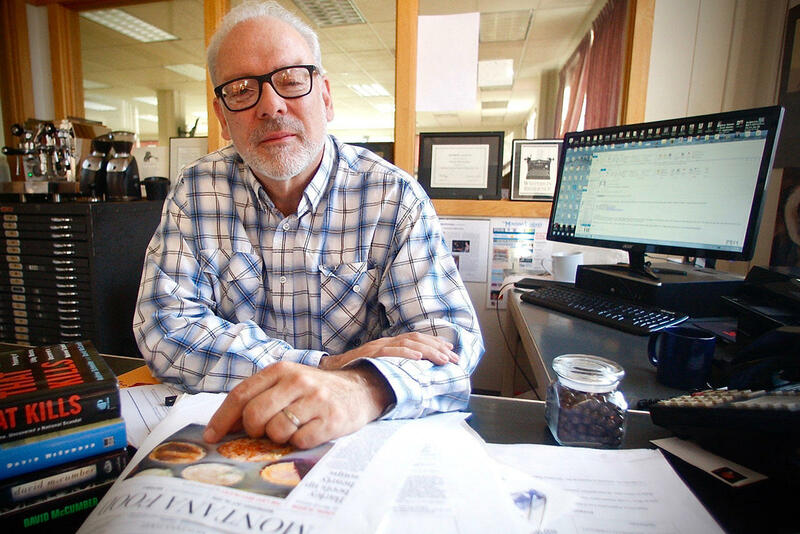 Montana Standard Editor David McCumber joins MTPR's Nora Saks to talk about his paper's reaction to President Trump's gag-order covering several federal agencies like EPA and USDA. 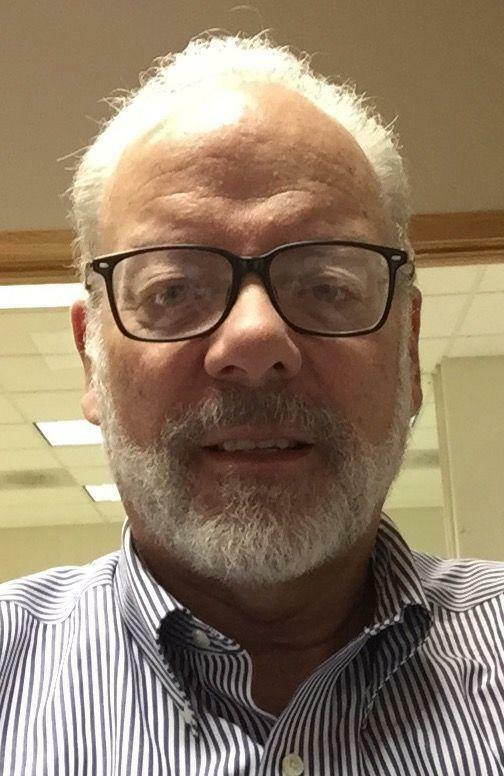 McCumber talks about how his newspaper plans to hold government agencies accountable. Nora Saks: David McCumber, thank you so much for joining us on Montana Public Radio. David McCumber: Nora it's a pleasure as always. NS: Last week the Trump administration issued a gag-order to several federal agencies like the Environmental Protection Agency and the U.S. Department of Agriculture and you were moved to write an opinion piece in the Montana Standard entitled "Attempt to Muzzle Press Won't Stop Exchange of Information." Can you tell me what event triggered you to write that? DM: Among the things that happened in President Trump's very eventful first week, several agencies were given orders to stop communicating with the press. That seemed to me to be a particularly unusual and unwelcome harbinger. We take communicating with the EPA pretty seriously here in Butte because they hold a bunch of the cards that'll determine our future here with the Superfund cleanup. It was very concerning when we heard that suddenly there would be no more interaction. NS: What was it like to watch the Badlands twitter account be taken over? DM: It was surreal, I guess. As it turned out, apparently, a former employee, a federal employee, had taken over the site and was sending unauthorized tweets in defiance of the gag-order. And the tweets were little facts about climate change, which was obviously intended as a poke at the Trump administration's removal, for instance, of all climate change information from several federal websites, White House website. I think there are a lot of nervous scientists in the administration and outside the administration who are concerned about what the new stance on climate change is going to mean. So hear you had this tiny national park sending out defiant tweets about a subject that was clearly taboo to the new administration, and it was really striking. NS: In your editorial you mentioned Doug Ericksen who's the transition team's spokesperson for the EPA. The justification that he gave for employees complying with the gag-order was the the EPA wanted to get a handle on everything and make sure what is going out reflects the priorities of the new administration. But this didn't sit well with you, and seemed to be an encroachment on the First Amendment. Can you talk a little more about that? DM: It just seemed like a pretty heavy-handed approach to suddenly just cut-off all communication, make it basically against the rules for federal employees to talk to the people they serve through the press. It seemed to me that it was sort of like shooting a mosquito with a shotgun. As I say, it's a disturbing sign of how things are going to go. NS: You mentioned in your editorial that the Montana Standard will react to the gag-order by redoubling it's efforts to report on EPA and Superfund matters. Can you tell us more about what that really means and why that's so relevant to Butte and Silver Bow? DM: It's important to our readers and to the people in our community that we know what's going on with EPA and with the Superfund process. It's up to us a journalists to find ways of providing that information. We can't just let the fact that there's been a gag-order issued stop us from trying to tell people what's going on with this important agency. I made the point that a lot federal employees will doubtless still communicate because they care about what they're doing, and they care about the success of their mission. Obviously we will be encouraging people who work within the government to talk to us, to provide our readers with some insights and understanding into a very strange time. I ended the piece by saying "documents in plain brown envelopes are gratefully accepted." And what I mean is if people want to leak us information, we want to make that conduit available. And that's no different from any other time. But it becomes all the more important to have people of conscience in the government who believe there's something that people ought to know and who will provide it to people like me who are journalists. It's just really important to make sure there are some lines of communication. NS: Besides keeping those lines of communication open, are there any other big changes you foresee happening at the Montana Standard. Are there any pivots you're going to make in the way you do your job? DM: Our job remains the same. Our job is to tell people what's happening in Butte and what's happening that will affect Butte. We're going to be the same as we always are. We're not going to be intimidated by this sort of thing, and we're literally going to work even harder to get the news that our readers want and need. NS: That's good to hear. Zooming back in to Montana, the Legislature is in session currently. Has there been anything happening recently that's attracted your attention. DM: Like the old saying, "it's the most dangerous time for the state when the legislature is in session." Actually there's one bill that caught my attention that was introduced yesterday by Rep. Derek Skees from Kalispell I believe. And it would do away with the Office of the Commissioner of Political Practices. That position has been a lightning rod of a position. There've been a lot of accusations about the partisanship of the current commissioner, Commissioner Motl. But at the same time, he has moved very quickly to eliminate the backlog of complaints and has had a big impact on the political scene in Montana in the last few years. The reason this bill caught my attention is that this Office of the Commissioner of Political Practices is not a new thing. It's been around by statute since 1975 when Gov. Thomas Judge had a committee formed to look at how political practices should be policed. And that group of people came up with a position that is one of the toughest, most stringent monitors of political practice in the country. I think as a Montanan I'm pretty happy that we have that strong political cop, and it seems like a spectacularly bad idea to get rid of that position, particularly if you're going to turf responsibility for investigating complaints about political practices to a couple of elected officials — in this case, the attorney general and the secretary of state. That just seems like the fox guarding the hen house. And I think it would be a shame for Montana to take a step backwards, a big step backwards by eliminating this key position. NS: So if anyone else who shares your concerns about that, what do you think is the best way to make your voice heard? DM: I believe there's a hearing at 8:00 Friday Morning in the House on that bill, and I know there'll be some people testifying then, including some of the original drafters of the statute. NS: That's really helpful, thanks for pointing out that bill to our listeners. DM: Well these are certainly interesting political times, both on the state and national level. NS: David McCumber, thanks so much for joining us again to share your view on the news from Butte. David McCumber is Editor of the Montana Standard. David McCumber, the editor of the Montana Standard in Butte, discusses three bills that cumulatively could make it more dangerous to drive in the state. He also discusses what the EPA nomination of Scott Pruitt by President-elect Donald Trump could mean for Montana. 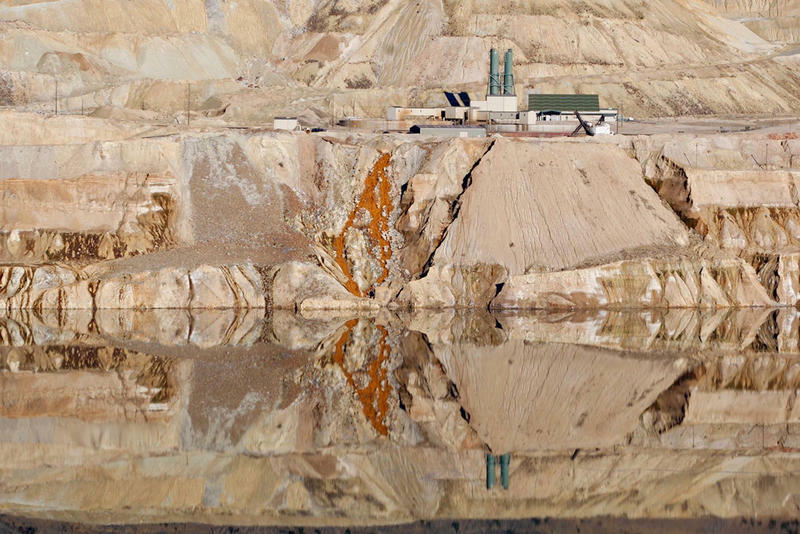 Last week, migrating snow geese made an ill-fated decision to take a break at the toxic Berkeley Pit in Butte, Montana. The numbers of dead birds are now predicted to be in the thousands. Nora Saks talks to David McCumber, the editor of the Montana Standard to find out the details surrounding the mass die-off. A citizen's group in Butte Thursday presented a comprehensive, crowd-sourced vision for what they'd like to see happen in the contaminated corridor of Silver Bow Creek. MTPR's Nora Saks talks to Montana Standard Editor David McCumber to find out the details. Montana Standard Editor David McCumber talks about the EPA's five-year report on Superfund cleanup around the city with MTPR's Nora Saks. On Monday night, the EPA presented its five-year review of the Superfund cleanup in Butte to a room full of frustrated residents and officials. David McCumber, editor of The Montana Standard talks to MTPR's Nora Saks about why the meeting got heated. Montana Standard Editor David McCumber talks about why his newspaper is suing to make Butte Superfund negotiations public, and recaps other recent news related to the cleanup. 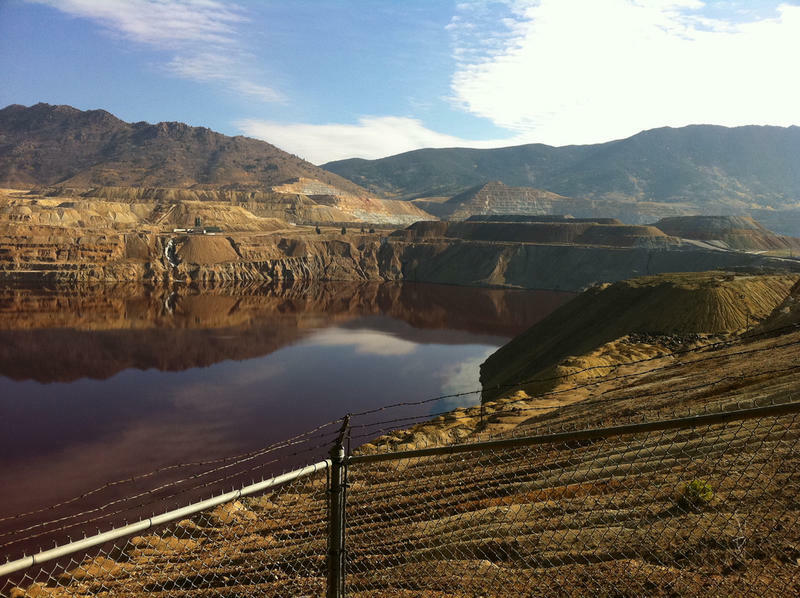 The Montana Standard is suing to make Superfund negotiations in Butte public after they've been veiled in secrecy for 14 years. Nora Saks speaks with David McCumber, the editor of the newspaper, to find out more about their lawsuit and why the state pulled out of the clean-up settlement last week.